Hello and Welcome to Treasure State ATV Association (TSATV). This web site was created and designed to assist those who wish to learn more about TSATV, ATV recreational opportunities and Montana's Big Sky Country in general. 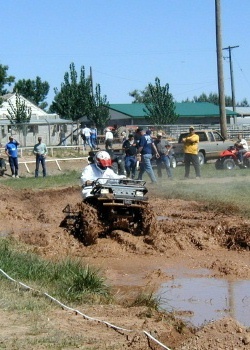 TSATV was founded in 1998 and has since become the largest ATV riding organization in the state of Montana. You are invited to attend one of our monthly meetings to find our more about TSATV and to meet many interesting and knowledgeable members. TSATV meets every third Thursday of the month at the Billings Elk's Club. Membership forms, ride schedules, newsletters and other general information are available in other sections of this web site. Feel free to contact any officer or director if you have further questions.